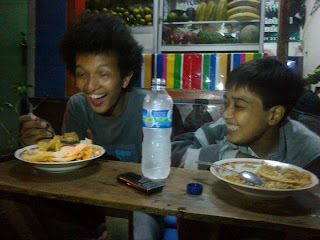 Innalillahi wa inna ilaihi raji'un, last saturday night (July 30th, 2011) i lost one of my bestfriend, and he was "iki". 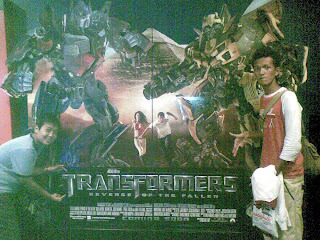 i know iki not just for one year or two years but more than 10 years. since he is my childhood friend, my neighbour (my house is really next to his house. if he sing, i can hear from my room's window), friend who play together, stay in middle of the night together, hang out together, etc. ya he already got sickness since he was child. but with his spirit he can go through anything at all. he is my friend who really though. i got many values of life from him. undirectly he teach me to always share happiness to people around us. always smile, never be angry, be polite with people who older than us. 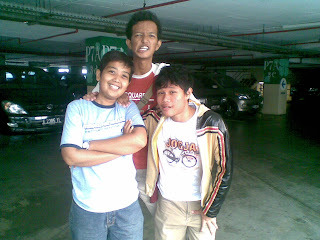 this is the first time my friend past away, "MY BESTFRIEND" i mean. 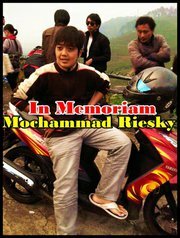 Rest In Peace iki. wish you stay in best place. kangen saat iki manggil "kung, keluar lagi gak lo?". kangen saat iki nanyain "ka*l, kemane lo? kangen saat iki bbm gue nanyain bahasa inggris buat bales bbm ke gebetannya, kangen pas dia mention gak jelas twitter gue, kangen baca "wkwkwkwkwkw" nya dia, kangen pas balik dari nongkrong bareng terus kita sama-sama masuk ke pintu rumah masing, he always said "makasih ya kung, besok keluar lagi". iki, you're really my bestfriend.